The SEMA Action Network (SAN) announced the next Collector Car Appreciation Day (CCAD) will be celebrated on July 14, 2017. 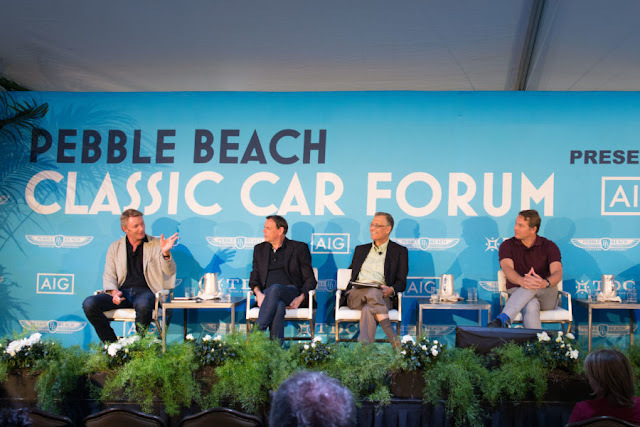 The date will mark the eighth consecutive commemoration in what is now an annual event to raise awareness of the vital role automotive restoration and collection plays in American society. A list of officially scheduled events to commemorate America’s time-tested love affair with the automobile is posted below. Individuals, car clubs and business owners interested in publicizing events may submit the details of their July celebration at no cost using this link. For those unable to celebrate on July 14, the SAN encourages events to be scheduled throughout the month of July 2017. Garagistry wants to thank SEMA for both their dedicated commitment to the Classic Car Community and for their work compiling this list of events. We find it most satisfying to read such support for our Classic vehicles as to "raise awareness of the vital role automotive restoration and collection plays in American society". This is one of the fundamental reasons why Garagistry exists: We're preserving automotive history; one car at a time®"
On July 4th, Garagistry will celebrate our 5th Year of providing classic car owners the tools and resources needed to create, organize and manage a digital history of their vehicles in a safe, secure and private environment; free from the risks of loss from anything Mother Nature can toss your way. While memberships are is still FREE, we encourage you to visit the Garagistry website and take a moment to become aware of the benefits having a Garagistry account for your classic. Then you can begin to preserve and protect the history of your vehicle as well as your financial investment in ownership. Best wishes for a safe and enjoyable month of July enjoying the many Collector Car Appreciation Day events nation-wide.